Dernier & Hamlyn completed their third project for luxury hotel brand Four Seasons following successful commissions in London and Baku. 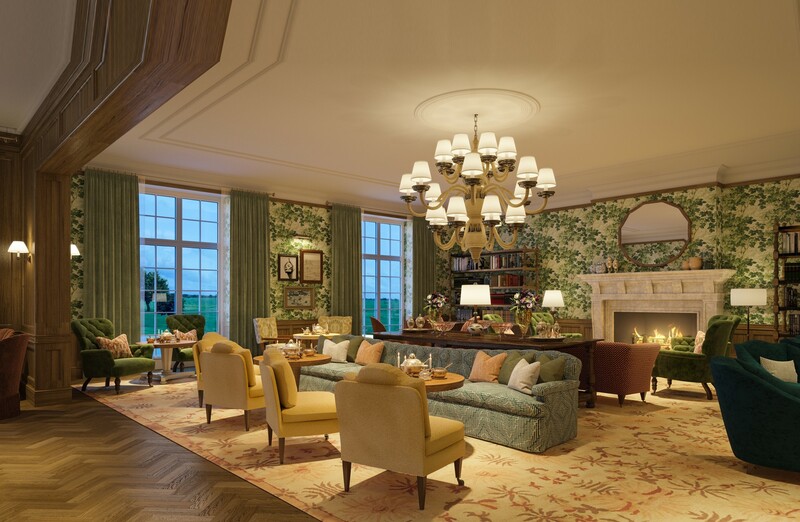 In partnership with Martin Brudnizki Design Studio, our team manufactured bespoke antique brass chandeliers for public areas throughout the Four Seasons Hampshire utilising a range of our artisans’ skills. Nine 12 arm pendants were produced for the hotel’s drawing room and five chandeliers, hand-wrapped in rope, were produced for the hotel’s lounge and reception areas requiring painstaking attention to detail to achieve the desired effect. We also updated and rewired many of the hotel’s existing light fittings to bring them in line with modern standards and also wired vintage lighting that had been sourced by the MBDS team.